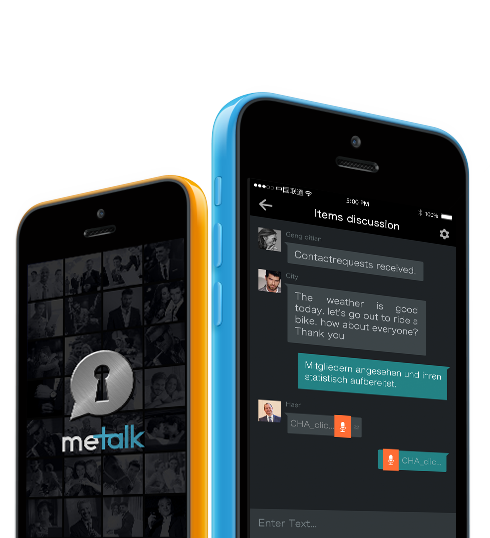 A secure instant messaging application made for today’s business users. Join us today to find out more. Avoid any potential leaks with our trusted end-to-end encryption over AES encryption and RSA cryptosystem. Set security questions to enhance account protection and review past 30 days usage statistics while on the move. Manage list of trusted devices to enhance protection, whereby login from non-trusted devices requires authentication. An added level of security to prevent unauthorized access to confidential chats, especially when your device is stolen or lost. Having trouble recollecting what was said and decided in a group chat? 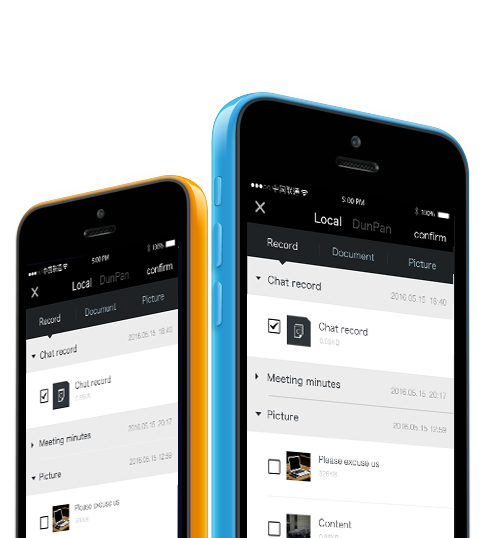 The chat minutes function allows you to save portions of any chat record for future reference and circulation. Post an upcoming event to selected contacts, include detailes such as place, time, and attachments. 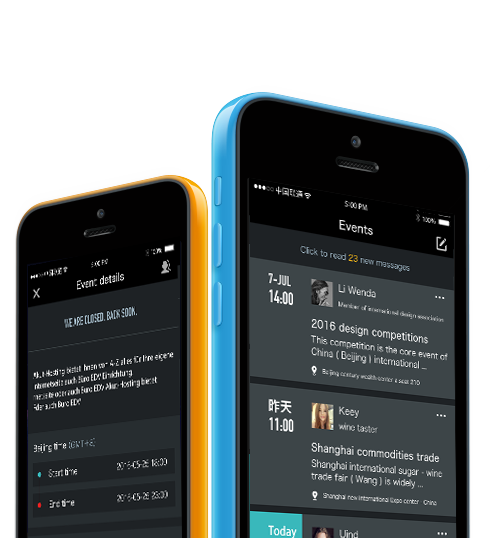 – remind friends about their attendance with the event alert function. View all the events open to you within your social circle, from parties to meetings to conventions, and actively respond on your participation for more business opportunities. Conveniently upload, download, store and circulate documents via the “My Files” feature, which supports various office document formats. Includes cloud storage. Passcode-secured backup to server, all transmission and data are encrypted. Alter your friends’ profile, no one knows for sure who you’re chatting with! Send self-destruct messages, leaving no traces behind!